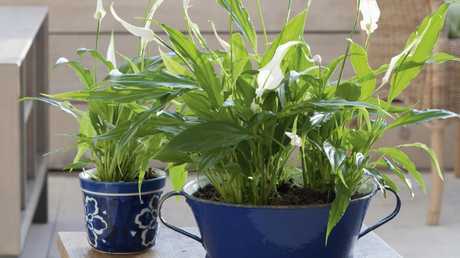 In Yates Top 50 Indoor Plants and How Not To Kill Them, Yates horticultural consultant Angie Thomas gives tips on how to grow 50 of her favourite plants. She says she understands some people feel daunted at the idea of growing plants inside. "You should see the look on people's faces when I talk to them about indoor plants," she says. "They're thinking of all the plants they've bought from the nursery that are no longer with us." But not only do indoor plants mean everyone can enjoy gardening, no matter what sort of space we have, having plants indoors can also bring health benefits. 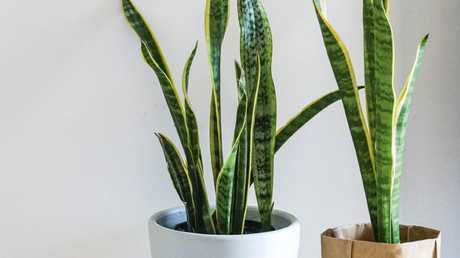 "There's some really good scientific evidence that having indoor plants in the house is actually good for reducing toxins in your house as well," Angie says. 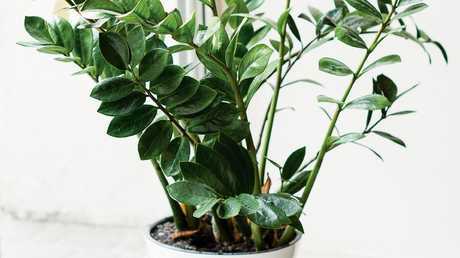 "Once you go beyond about five plants in an indoor space you can start to get some noticeable benefits in indoor air quality." Rather than heading straight out and buying an indoor plant, Angie suggests assessing your home to determine a suitable spot for a plant to sit. 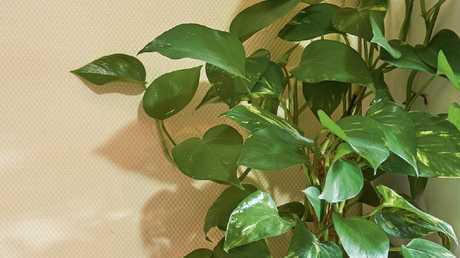 "See what the light levels are in a particular space because most indoor plants will like a spot that gets bright but indirect light. 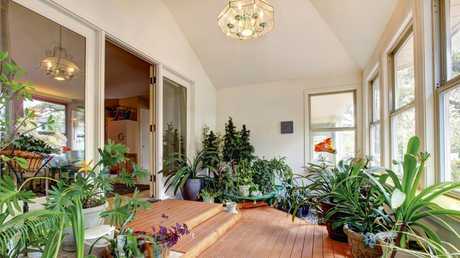 Most of the large lush leafy indoor plants won't like sitting next to a window that's exposed to harsh afternoon sunshine." She says if you have a spot that doesn't receive bright light, choose plants that will tolerate lower levels of light. And a lack of space doesn't mean you have to forgo having plants indoors. 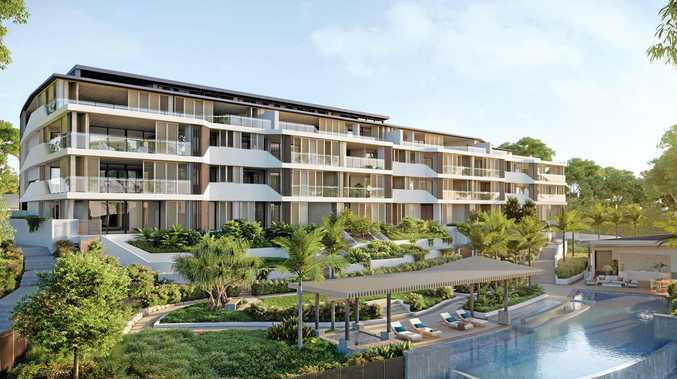 "If you have no horizontal spaces left in your house, then look at what plants you might be able to include in a vertical garden or a hanging basket or a wall planter." Going away for a week or more? "If you have a plant-loving friend who's willing to come and water, that's fantastic," Angie says. "But when I go away for a week or so I move all my indoor plants into my bath, laundry tub or shower recess. I remove all the saucers from the plants and sometimes I put a shallow layer of water in the bath." Feeling enthused about indoor gardening? 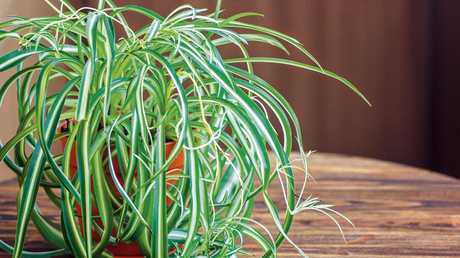 We asked Angie to name some indoor plants that are (almost) impossible to kill. Mother-in-law's tongue. Good looking but tough. Described as super tough, its upright growth makes it ideal for narrow spaces and its bold look creates a striking focal point. 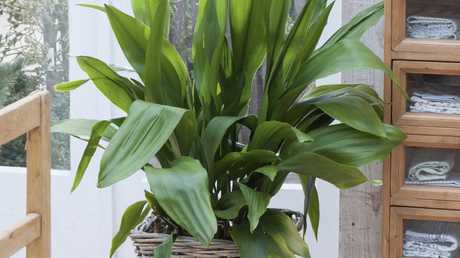 This plant will tolerate quite low levels of light indoors and can handle becoming dry before the next watering. "It's a succulent and it's a wonderful plant for a dimly lit spot," Angie says. ZZ plant. Slow grower, low maintenance. "It's a really lovely plant and it's a good starting point if you haven't grown indoor plants before," Angie says. "It grows slowly so you won't need to be repotting it very often or doing pruning and it prefers to be dried out. "It also has these leathery shiny leaves that look really spectacular. "It doesn't take much water or food and it will tolerate a brightly lit spot but will also tolerate a darker spot." "They're very common but that doesn't make them any less worthy than any other plant," Angie says. "They love a brightly lit spot but they'll also tolerate a dimly lit position." Angie says they're also good at communicating with you. "They're really good at telling you how they're feeling - if they need watering their foliage will droop." 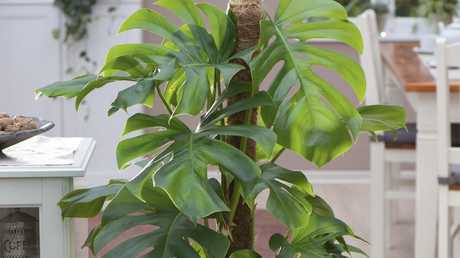 Also known as Swiss cheese plant or fruit salad plant, monstera deliciosa has large, distinctive leaves, making it a great statement plant. Its stems can be trained up a support or left to trail. "If you have a space that needs to be filled in the corner of a room, this creates an instant jungle," Angie says. Spider plant. A million students can’t be wrong. "This one has had a resurgence from the 70s," Angie says. "They have long strappy foliage that arches out and over the plant. The leaves are long and strappy and creamy on the inside and they've got a green margin on the outside." They're really hardy plants and ideal for hanging baskets to create a lush, leafy look. "You can propagate your own as well." 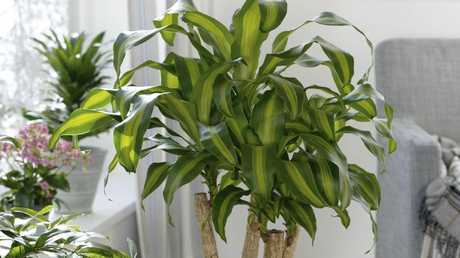 Also known as corn plant or dracaena fragrans, happy plants are perfect to fill the corner of a room. "This is a really lovely plant," Angie says. "It grows thick woody stems, like vertical trunks and it has arching foliage that grows out from the trunk. It's also fairly low maintenance." "This is a common plant, you can hang it out of a pot, you will see it growing on people's shelves, twining in among ornaments or books," Angie says. "It can grow across the wall, in hanging baskets or vertical gardens and it's got this beautiful cascading effect but you can train it vertically as well." Not only will these plants tolerate low levels of light, moisture and humidity they can also handle draughts, cool conditions and dust. "It's not called cast iron plant for nothing," Angie says. "It's quite tough and it will tolerate more dimly lit positions." 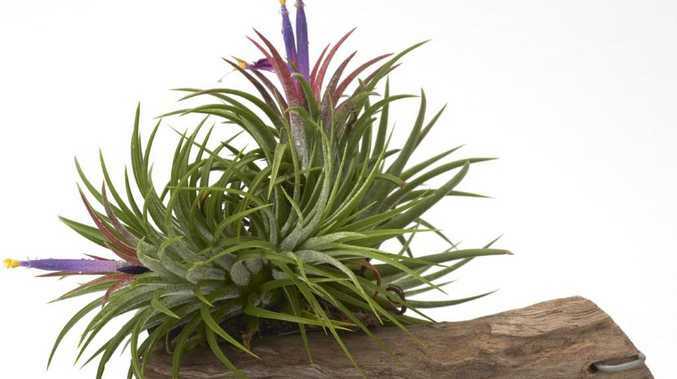 "If you think you don't have a green thumb, air plants might be a nice toe in the water," Angie says. 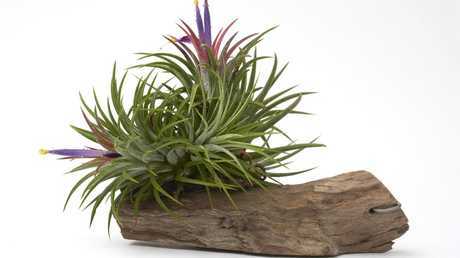 "Air plants don't really have a root system so they can be grown in a dish of pebbles and placed on the top. "During the warmer months give them a dunking once a week and when it gets cooler it could be once a fortnight or once a month. That's really the only moisture they need. "They can flower for you as well. They're a really low-maintenance beginner plant."